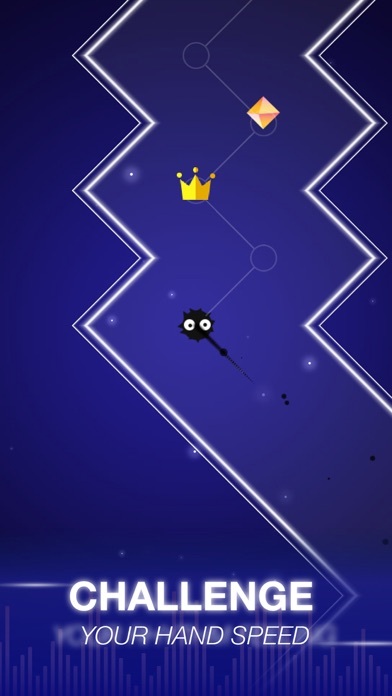 Dot n Beat is an absolutely addictive game with the most thrilling and exciting rhythm! You never wanna miss it! 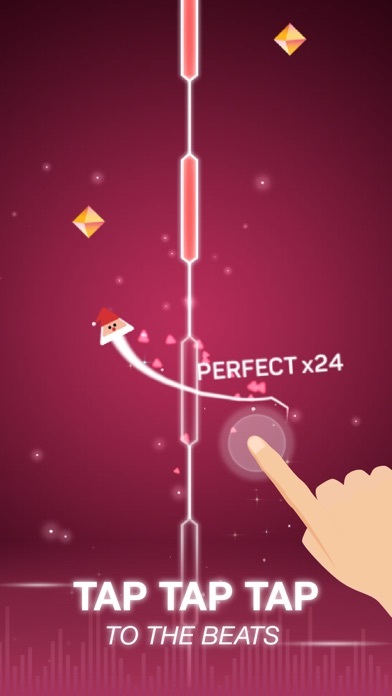 2019 latest music arcade game, which tests your music rhythm and hand speed. Challenge your friends and see who has the last laugh! 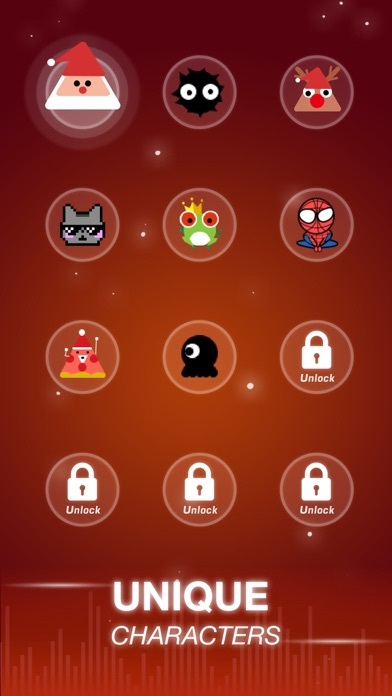 A combination of various music written by the world's brilliant independent musicians, audiovisual effects and distinctive game playing-modes makes Dot n Beat enjoyable for all ages. A memorable music journey is about to start, let’s rock n roll! 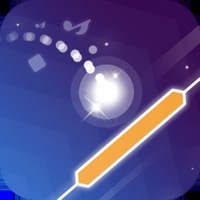 How to play Follow the beats and control the moving direction of the light ball by tapping the screen. Listen to the rhythms and play to the music so that you can get a higher score and more diamonds. Move your fingers to experience the thrills of compact rhythms. 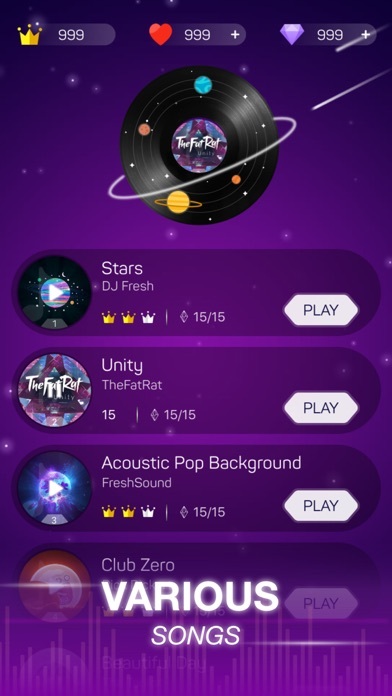 Key Features Easy to play, everyone can be the rhythm master Enormous songs by excellent independent musicians and fast-paced playing-mode make it impossible to stop playing Addicted rhythm, challenge your friend with a higher score Totally free-unlock more mysterious skins What are you waiting for? Download now and test your music sense and hand speed! Paid to remove ads, while it no longer auto plays, the ads options are still very much in your face. Also, I’m on an iPhone XS and it experiences slow downs at times screwing you over. This is the worst game ever. It should not be a game. All the ads on it are ridiculous. Take this game away whoever made it is so freaking stupid. At first it was fun. But after awhile it got so glitchy to the point where it was impossible to play, and also made playing music unsatisfying. The music didn’t match up with the beats and it would pause randomly. Do not download. The game stops by itself and every time an add pops up I can’t close out of it. I even checked to see if my screen just wasn’t working and there was nothing wrong with my screen. The game makers should make this game a bit better if there wasn’t so many ads and it didn’t stop by itself I would totally love this game, but it is bad! This game is really fun, but sometimes when i go on the app the sound stops working. To fix this i have to completely close out the game. The sound stops working when I try to continue my game by watching an add, or it just stops randomly. If this did not happen, I would rate this app with 5 stars. By why did you make this? This worked for 5 minutes. Then, I started having sound problems. I watched an ad to try out “Hello” and I realized the sound didn’t work. I exited out of the game and tried again. Same problem with Twinkle Twinkle. I checked to see if my sound worked on other apps and yes, it does. So this is something to consider. Don’t get this app. It’s not worth your time. I really like this game it’s really fun just not 5 star quality. Finn but super glitchy I thought it was the WiFi at my friends but I when and was just as bad there. glitches like every 3second worst game ever. I found this app on tiktok and was excited to download and play. However, there are way too many adds to the point where u can barely even play the game. Also, the music doesn’t play all the time. I often find myself having to force close the app after every round just to hear the music and sometimes that doesn’t even work. Game is okay at best. Mildly addicting if you can get over the ads. I swear if I have to listen to that ridiculously stupendous ad where that girl is playing karaoke through her apple headphones, I may headbutt the pencil on my desk. If you enjoy ads, specifically the same ad after every level of the game, by all means, you should download this app. If you’re sane, don’t download or you’ll be bombarded by some wack add that no one wants to purchase. This game is great and all.. but there are ads like every 5 seconds for me and I’m not paying to turn them off. This game is just a race for money. Once you “miss” a key, you have to start all over when you didn’t even miss it at all. And there are times where the music doesn’t even play. I don’t really recommend unless you have a lot of patience. The ads make it seem like it has access to your camera and will work based on which hand you use to snap. It does not. Very dissatisfied. I’ve been playing this game and have become overwhelmingly frustrated with the time intervals when you mess up on a game. What happens is that when you play a song and mess up, you have to wait about 10 seconds, to restart the whole course and try again. On top of that, sometimes before you can try again you have to watch an ad. I get bored of waiting for the next round to start. The courses are long and I mess up easily, so having to wait 45 seconds (which might not sound like a lot, but feels like a lot when playing) to start playing the whole lvl over again and not even from where I just messed us becomes very frustrating. It doesn’t feel right, on most parts. I’ve only played three levels and two of them I’m constantly failing because I press the buttons on the beat but they’re not the right size. This app is really cool and fun to play but when ever I watch it get a add the audio cuts out which is really annoying and not as fun. Fix this problem please. Ever time I play the same ad comes up so when I press the x and it never get off of it so I have to get off the game then go back and play it so that’s why I am never ever getting this game ever again I HATE THIS GAME! When I tried to play the game there was no sound. It just seems like a hustle for money and I would not recommend it for anyone. I'm not going to make this long. So I was looking at and add. It showed a lady moving her finger instead of taping. And when I got the app I had to tap on the screen. So I was scammed in a way. But all in all, it is a great game I just wish you could move your finger to the rhythm. Hello. I am an FBI agent who also works for apple. My other fellow workers have been telling me that costumers told them that they are having very bad lagging troubles with a lot of apps and this is one of them. Can you please check if your app has any problems with the iPhone 8, iPhone 6, or iPhone 4. Thank you and have a great day. In the advertisement I watched the girl was snapping, making the dot move to each tile. In the game you need to tap the screen. Also the game gets really boring after a while. I don’t like all of the adds and overall this is just not a very good game! This game has a lot of potential, however every single time I have to start over due to a mistake, there is no sound? Therefore I have to clear the app out (iPhone x) and open it like I’m starting all over. This is so aggravating! I would love it if the sound was working right. I don’t have that issue with any other game so I know it’s not my phone. 90% of the time (with headphones and without) there was absolutely no audio so I couldn’t hear what song was going on. Do not get this app. After an add all audio just broke. It moved the “dots” on its own, making me fail. And without the music I have no beat..
It’s Great!! But The Problem Is That Whenever You Lose And You Want To Watch A Ad To Play It Again The Music Stops Playing And There’s No Music Even If You Get Out Of The Match No Sounds And when you go to a different one there’s still no music please Fix That! %100 HORRIBLE! Why do they make a typical music game but with soooooooooooooooooooooooooooooooooooooooooooooooooooooooooooooooooooooooooooooooooo many lags!